Hotel Utrecht Cheap accommodation in hotel ship. Ships in the Netherlands! cheap hotel - Visit this centrally located city and spend the night on a sleeping ship. 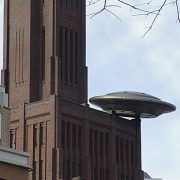 The center is filled with historical locations and together these form the special inner city of Utrecht. Dusty city castles have been converted into catering establishments, old storage spaces along the Werf are the home of cozy cafes, trendy shops and restaurants. Are you looking for a nice and original place to stay in this beautiful city? Then book one bed and breakfast on one of the hotel ships in the harbor. This is an original and fun way of staying overnight during a weekend trip or city trip. After a day of enjoying this multifaceted city I can relax on one of the Sleepers in the harbor. Sleeping on a sleeping ship is cheap and comfortable. If you are two, you have a bed on a ship in Utrecht for about 40 euro! You stay on a hotel ship with an atmospheric salon as a central center. There is one in your cabin comfortable and made bed waiting for you. In the morning a tasty breakfast is ready in the salon. When the weather is nice, you can sit comfortably on deck and drink a cup of coffee while looking out over the water. Our ships are available in various types and sizes. The ships are, in addition to bed and breakfast, also very suitable as Group accommodation for groups of friends, family and colleagues for, for example, family celebrations and company presentations or outings. Sometimes it is difficult to find a cheap and nice hotel. Then it is possible to allow ships to enter from other places. For example, you can increase the overnight capacity. If you have specific wishes or other questions, you can always contact us without obligation. 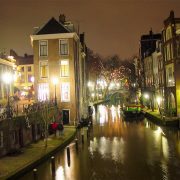 Do you want a hotel stay in a different city than in Utrecht? That is also not a problem because there are many more Sleepers spread across the Netherlands and abroad. 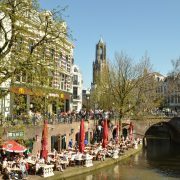 Utrecht cheap hotel - The city center itself is worth seeing, but Utrecht is bursting with special places. In the multicultural Lombok you can go for your exotic messages. Are you interested in the archaeological history of the town of the city? Then you can visit Castellum Hogewoerd. The Sun course you can not overlook. The Gothic tower is the icon of Utrecht. The tower dates back to 1382 and can be seen from all over town. Of course you can visit the tower, provided you're willing to climb the steps 465. You can also walk into AAMUThe name stands for Aboriginal Art Museum in Utrecht. This is the only museum in Europe dedicated to the Aboriginal art from Australia. If you like shopping you can indulge yourself in this city. In addition to the regular stores, there are also many special stores that you will not find anywhere else. There is even a special Puha shopping route. This is a route full of surprising shops and exclusive boutiques. Special locations for art, fashion, food, culture and music that you can find with the help of an app. If you want to be on the road with your children, there is plenty to do in Utrecht. 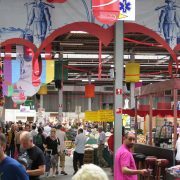 In this beer juice agenda you can find the best outings for young and old in and around the city.